Tarryn Fisher delivers the unexpected—a love story that is both aching and tender, witty and romantic—but not without lacing the narrative with her singular style that readers have come to love. Tarryn Fisher delves into contemporary romance once again, but not without stamping it with her own singular style. 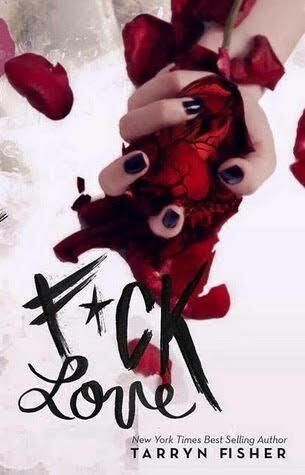 F*ck Love is a story of destiny and determination, heartache and love, timing and choices. We see a different side of Tarryn, with more wit, tenderness and effervescence imbued into the narrative, making the novel compulsively readable and enjoyable. There were so many things I loved, everything from her fresh and funny chapter hashtags to the protagonist’s life-centering Harry Potter references (who doesn’t relate to that?!). A portion of the story also takes place in Port Townsend, Washington, and the setting felt very vivid and immersive, giving the story an added sense of connection. This story felt more plot driven than some of her previous work without losing the feels and character intrigue. In fact, I really loved our protagonist, Helena, who was very much relatable even as she struggled to do the right thing and understand both her sense of self and her emotions. The novel unravels when in a dream Helena Conway experiences a slice of life that could be… would be… should be? She leaps into a life she never expected, with a man she never imagined, getting an unexpected taste of happiness. The issue is that man is not her boyfriend, but rather, her best friend’s boyfriend. Worse yet, her life is tethered to another man and her best friend Della, seems to think her boyfriend Kit is to propose soon. Helena spins into an emotional frenzy she can’t control, examining her life, her ambitions, her heart. She ends up falling for the man of her dreams, someone who is not hers to love. The plot moves quickly as destiny’s ill-timed plays vexed these star-crossed lovers in a will they/won’t they/should they situation. I couldn’t help but fall for Helena and Kit, for the possibility of Helena and Kit’s happily ever after, but fate continued to throw more complication into the mix. I never know what to expect in Tarryn Fisher’s books and so as I read, I wasn’t sure how the story would close, but I’ll reveal that it certainly concludes with some twists that made my heart ache, all the while pounding with anticipation. Friendships, relationships, choices and chance get thematically explored in a book that is most definitely a love story. F*uck Love expresses another side of Tarryn and I hope we see more of it in the future. This is a book many will love, just I have. Absolutely! It really isn’t that bad! I’m really excited for it, but she caught me with my pants down. I just started The Bronze Horseman several hours before this released. Gah!! Gonna be a few days before I’m ready, but I’m sure I’ll love it. Della says to Helena, “He’s mine,” and she is Right. Very enjoyable read, especially if you like a book in which Everyone behaves badly.